The Waterproof lower is mated with a 7mm neoprene upper, that has fantastic comfort and versatility. Too hot? Roll it down. These boots also have natural scent-control abilities, as they won't hold odor like leather boots will. 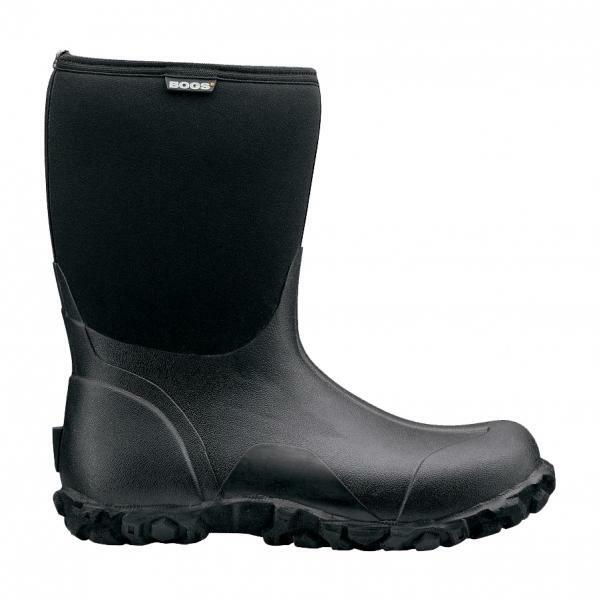 In addition, BOG has incorporated anti-microbial technology into each boot, so you won't even scare yourself away! SIZING TIP: The boots are about as versatile as they can be, and customer feedback says they fit true to size (and we fit a lot a lot of tough customers). They don't have specific widths, but will accomodate wide feet or ankles due to the way they are constructed. Our customer feedback is always our touchstone on fitting, and it seems the sizes of 14 and above do a better job fitting wide (like EEEE) feet than the smaller sizes. Our returns on these average less than 5%, so we know they are getting the job done. PLEASE NOTE: The larger sizes are hard to keep in stock as they don't run them year-round, but we try to keep a full slate of sizes. THANKS!